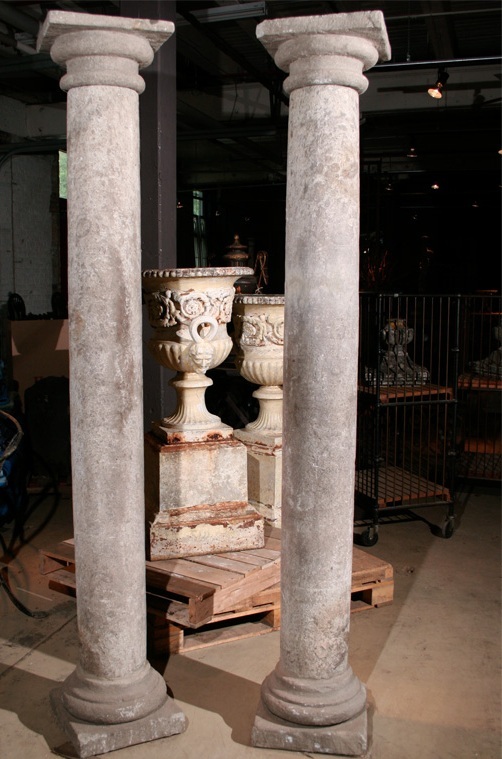 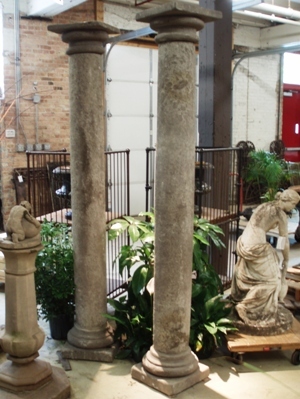 Pair of mid-19th century Italian carved stone Doric columns of simple Tuscan form. 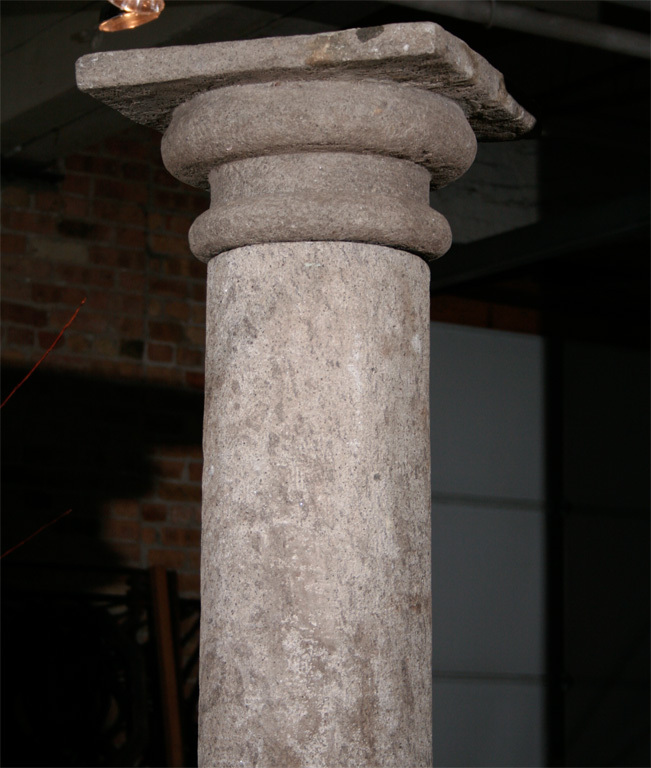 Condition: structurally sound, with weathering and minor losses consistent with age and outdoor use. 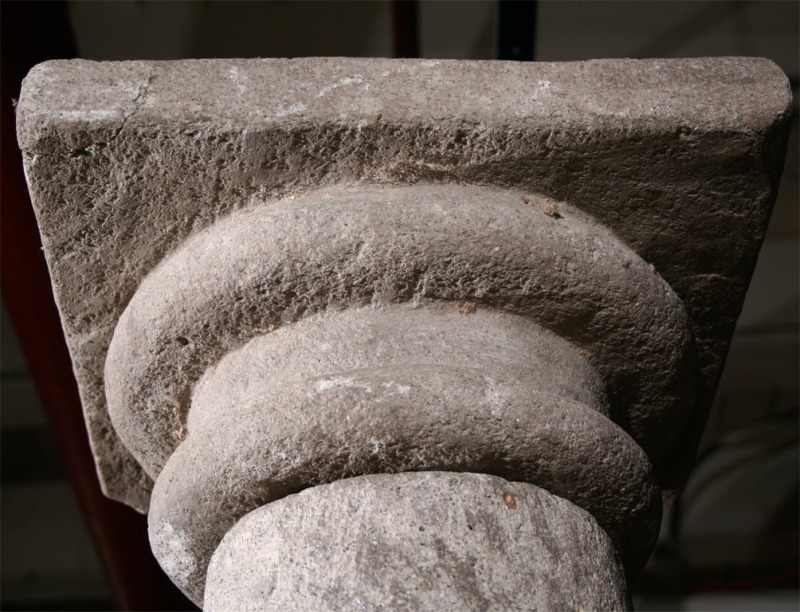 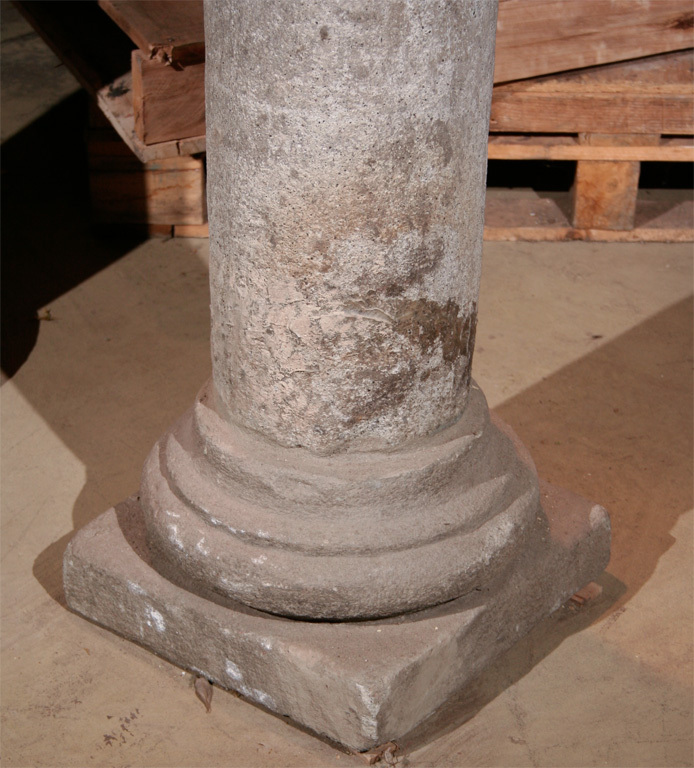 Repair to a corner of each capital and the shaft of one column.